Insects are everywhere. In fact, there are millions more insects than there are people on this earth! Insects include ants, beetles, butterflies, bugs, cicadas, moths, grasshoppers, crickets, bees, wasps and many, many more types! Insects make up almost 90% of a larger animal group called arthropods. Arthropods are the most diverse animal life form on the planet. There are more species of beetles than all other forms of animal life combined. Arthropods (arthro = joint; pod = feet) are animals with jointed limbs. All insects are members of the order insecta. Insecta is derived from the Latin, insectuon which translates to “animal with divided body“. Insects have six legs and three body parts - head, thorax and abdomen - covered with an outer exoskeleton. Their head has two antennae, compounded eyes (eyes with multiple lenses), and a mouth. The legs attach to the thorax and the abdomen is usually segmented. Insects also have different types of wings. Take a close look at EOL’s Bees cards and Ant Cards to see differences in body parts. Insects are busy workers building shelters, communicating, pollinating, cycling nutrients and providing food for fish, mammals, birds and most other animals on earth! Activity 1 – Find Bugs! Most bugs live on land. To go bug collecting it is helpful to take gloves, an insect or butterfly net and an insect hut. Scientists who search for and collect insects are called entomologists. They work to identify new species, and study insect relationships with the rest of the natural world. To begin your study of entomology, you can make an insect hut from a small box or jar. Just cut off the top of the box and cover it with clear netting or other transparent material with air holes. If you use a glass jar, be sure you use a hammer and nail to make air holes in the jar’s metal top. Look for bugs on flowers, in the grass and under rocks and logs. Once you find them, put them in your insect hut with a bit of native material. 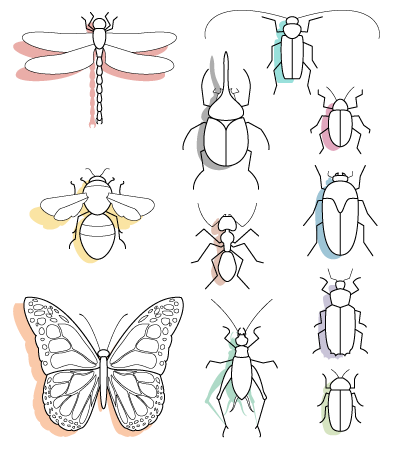 Take a digital photo and make a drawing of each insect and attempt to look them up in the database. Find their species and label your drawing with the common name and the Latin name. If you cannot find your insect you can post it to the Encyclopedia of Life and see if it is a new or undiscovered species! Insects begin their life in eggs. As they grow, they grow through changes until they become an adult. These changes are called metamorphosis. All insects go through complete or incomplete metamorphosis. Dragonflies and grasshoppers go through incomplete metamorphosis. Incomplete metamorphosis begins with the egg. A nymph hatches out of the egg. The nymph looks exactly like the adult insect only smaller. As the nymph grows it outgrows and sheds or ‘molts’ its exoskeleton and grows a new one. It repeats this sequence several times until it reaches its adult size. Draw the three stages of a grasshopper. 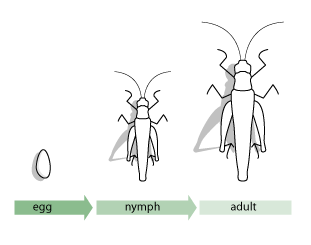 Other bugs begin their life as an egg and go through complete metamorphosis or 4 stages of growth. 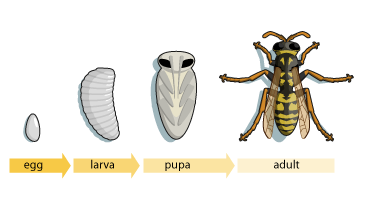 Bees, ants, butterflies, beetles and flies begin as eggs, hatch into worms or larvae, then shed their skins and go through a pupae stage, and finally emerge as adults. Research butterfly metamorphosis and draw the four stages. 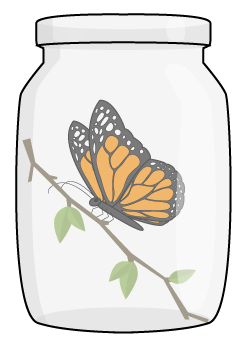 Adopt a butterfly and spend 30 days monitoring its metamorphosis. 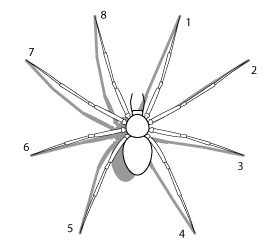 You may be surprised that although spiders are arthropods, they have eight legs, not six. This makes them their own special order of arthropod…called arachnids. Make a poster that shows an eight legged spider and then draw at least three more exotic insects, each with six jointed limbs. Explore the online databases or go to a local natural history museum. You will be amazed at the brilliance and unique coloring of insects. 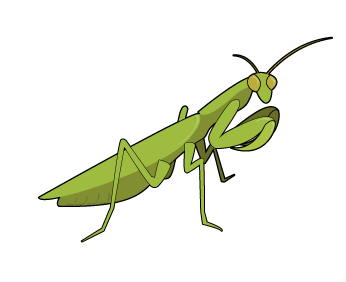 Activity 5 – Why are there so many insects? Insects species are the largest animal group. The three basic body parts of an insect are? Insects have an inner skeleton. Video TEDed Should we eat bugs?